My spoiler story begins in 1999, not long after the dot-com boom, when the internet was seen as a luxury, not a necessity, and social media was in its infancy. Back then, Twitter and Facebook didn’t exist, the mainstream press were becoming aware of blogs and broadband was a distant dream. In my day, we had to rely on a dial-up internet connection for our kicks, baby. In 1999, we feared the Millennium Bug, Y2K was something people genuinely said, and one of the films that dominated the UK box office that year, besides The Matrix, was M. Night Shyamalan’s The Sixth Sense. Being a teenager with an obscene amount of free time at the weekend (oh, those were the days) I was meant to see the film with some friends, but for some reason that has vanished in the sinking sands of time, I couldn’t go. And that was how my dear friend Paul hurled the ending of The Sixth Sense into our conversation like a fraternity pledge on an Ipecac bender, and burned it into my memory. The ending was, at the time, a surprise and is, by now, one most people will be very familiar with, but I’m saying nothing, just in case. Spoilers don’t just come up in conversations with overly enthusiastic friends these days. They lurk in careless tweets, they are revealed in late night Facebook statuses, and they wait in poorly written reviews by inexperienced writers. Unlike 1999, it’s now never been easier to have an online platform where you tell the world your opinions, and it’s the immediacy of the internet that has spawned a culture that thrives on not just new information, but the speed at which we can receive that information. It’s the ultimate competition, where those who hesitate instead of posting will not get those extra visits to their website, and they won’t have their thoughts retweeted hundreds, if not thousands, of times. We have created an online culture that is saturated with opinions on just about everything, and the more controversial the article, the more notoriety and more attention it creates for the writer. But this yearning for affirmation on the part of the writer lacks something vital and human: empathy. When my dear friend Paul told me the ending to the film, he did it because he was so amazed by what he’d seen. He wanted to share his experience of being in the cinema with me, because in his mind, I had missed out. However, by spoiling the film for me, he robbed me of the experience entirely, because it meant that I would never be able to view the film as he did when he watched it with no expectations. To him, and others who spoil things, he wasn’t in the wrong for giving the ending away; I hadn’t seen the film, therefore, it was my problem. Spoiling a film is not the same as a real robbery in the street, nor can it ever equate to the violation of having your home burgled, but when someone spoils a film, it’s theft. It’s not a violent act at all, but they have taken an experience from you ensuring that it can never be yours. 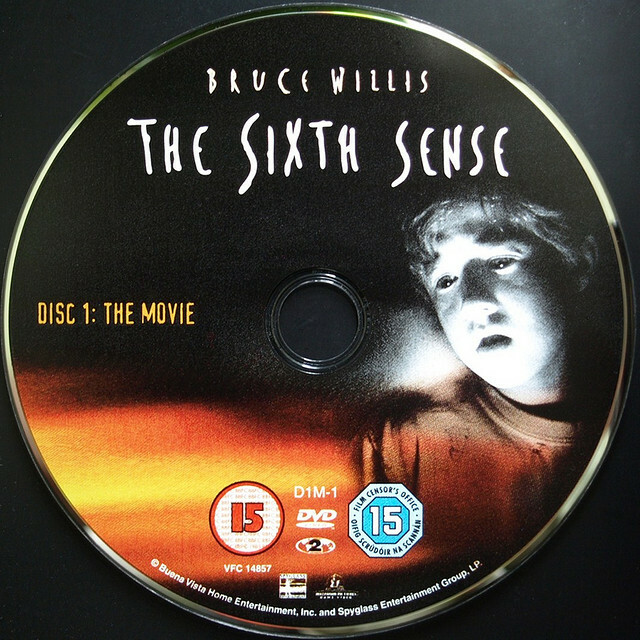 I saw The Sixth Sense many years later, and although it’s no Citizen Kane, The Usual Suspects or Alien (films which, thankfully, all remained spoiler free until I saw them) I couldn’t help but wonder if my reaction to it would have been different if I hadn’t been aware of the film’s definitive scenes. While we now know that Shyamalan’s movies typically contain some sort of twist, and his subsequent films have received very mixed reviews, whenever I think of The Sixth Sense, I remember that morning, in school with my dear friend Paul, telling me the ending to it, first, before the memory of actually seeing the film. I want my memories of watching a film or TV show to be about that film or TV show, not of the person that spoiled it for me. I remember when I went to see Star Wars for the first time when the Special Edition was released in 1997. I knew nothing about the film, I sat there, mute and still as the action played out before me, a long time ago in a galaxy far, far away. I went back to that galaxy again to watch The Empire Strikes Back and again to watch Return of the Jedi with an identical sense of wonder and ignorance, and there I realised the true joy of discovery. There was no friend desperate to tell me their opinion, and no spoilerific review waiting for me in the paper, I saw the films as they were meant to be seen; for the first time, by someone with no preconceptions. I want to be that child in the cinema once more, with no preconceptions, no prejudices, no bias. The child that walked home on air, her head full of the memory of seeing a film that I loved, a film that hadn’t been ruined or tainted by a careless comment or selfish tweet. But, in our post-digital world, where we value the immediacy of our content, over the accuracy of our content, can we learn to be silent once more? I’ve gone out of my way to ensure that my social networks stay spoiler free; muting specific hashtags, keywords and even the names of characters in shows or a new film that I want to watch. This works, but because I can only control my own behaviour online, and nobody else’s, the odd spoiler slips through. So, how do we stop the spoilers spreading? The answer is simple: shut up. Seen a film and can’t believe the ending? Be quiet. Did your favourite character die in Game of Thrones? Grieve quietly. Writing a review? Then be mysterious and subtle when writing the synopsis. Don’t assume that everyone you know has seen what you’ve just seen, let them discover it for themselves. Be silent, or be damned.